Humanity has never been better equipped to find life beyond Earth. From highly trained scientists toiling away at research institutes to amateur enthusiasts gazing upward from their backyards, humanity boasts no shortage of people looking for life beyond Earth. Add to that the massive size of the universe — estimates range in the trillions of galaxies — and probability dictates that we should have already encountered another species by now. And yet, we still have no evidence that we aren’t alone in the universe. While Impey is skeptical that intelligent life is within our sights, he does have a couple of suggestions as to where we should focus our search for extraterrestrial lifeforms, intelligent or not. The first is our own backyard, or, more accurately, our own solar system. Of course, our solar system is just one very small corner of a very massive universe, so we’d be remiss if we didn’t look beyond it for signs of life. To narrow down the scope of our search, Impey suggests targeting the many exo-Earths we’ve already uncovered. Instead of focusing on the planets’ surfaces, though, we should research their atmospheres. In the next few years, we’ll be able to use the James Web Space Telescope and other detection devices to look for biomarkers such as oxygen and methane in the atmospheres of these Earth-like planets, says Impey. “This biomarker experiment…could find evidence of microbial life indirectly,” he explains. The research should help us pinpoint the planets that are “the closest to Earth as possible, not in distance, but in character,” he adds, and since Earth is the only place we know life exists, finding the most Earth-like planets is our best bet for finding life. 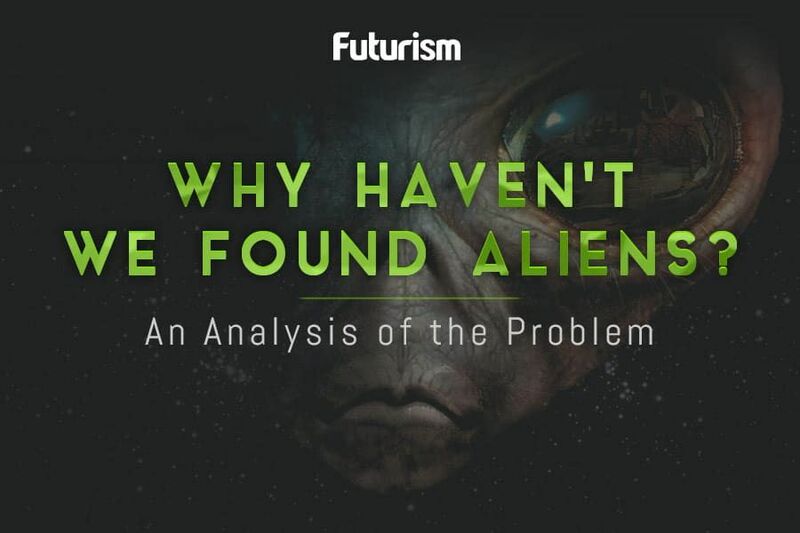 Even if Impey is right, and humanity is still decades away from finding intelligent alien life, the discovery of microbial life on Mars, Europa, or one of the thousands of exoplanets we’ve identified would still be a huge development. It would mean Earth isn’t unique, that something else living is out there. We could use the knowledge we glean from studying this microbial life to narrow down our hunt for other, more complex organisms. By providing valuable insights into how other living beings are able to survive on worlds far different from our own, this microbial life could help in our quest to become a multi-planetary species. Even the discovery of past microbial life would be helpful, as it could serve as something of a cautionary tale, providing us with the opportunity to learn and ensure we don’t meet the same fate.